A. Simple, spend a few minutes registering on our system and creating your own profile. Q. How many listings may I place? A. You may place one listing for every loan request you have or mortgage you have to sell. You may also place one listing for the service you offer. Thus, if you buy mortgages you place a listing in the Mortgage and Note Buyers section. If you ALSO are a mortgage broker, you can place another on in the Money Available > Mortgage Brokers section. You CANNOT place multiple listings in the same section for the same service. This is spamming our service. This will result in the extra listings being deleted and if you continue you may be banned from our service. Q. I would like to know who can help me with a loan. A. look through lenders and mortgage brokers who can help you in the Money Available section. Please remember that very few people will lend you money if you have bad credit and/or a small or zero down payment UNLESS the property is a great bargain. That is, the loan you want is 70% of the true market value of the real estate or less. Start saving for a down payment, clean up your credit and/or look for a lease option home. A. Visit our FREE Mortgage and Real Estate Sample Forms page. Q. I am registered but I cannot log in. A. Check you are using the EXACTLY correct User Name and password. Capitalization does matter. Jones is different from jones is different from JONES. The same applies to the password. If you are sure you are using the exact correct User Name and Password then we may have deleted your account. We always do this if the Welcome email we send you with your User Name and Password is bounced back to us. This is EITHER because you typed a wrong email address or your mailbox was full. Also, if you do not use your account for more than 400 days it deletes automatically. Q. I have forgotten my User Name and/or Password. A. At the User Login screen, click on either Forgot Username? or Forgot Password? You will then be asked for your email address which should be the one you registered with. You will then be emailed your login details. Q. I am still unable to login to my account. I haven’t signed in for quite some time and I had my username and password set to my email but it still doesn’t work. Can you please help? A. We purge User Accounts after 400 days of inactivity. Just going on line and browsing does not count as activity. Only placing listings, modifying them and creating an Auto-Notify does. If your User Name and Password do not work, after typing it in EXACTLY as shown, thus JOHNDOE is NOT the same as johndoe, just create another User account with the same info. A. We will NOT sell your personal information or pass it on to any other company. Q. Do Mortgage-Investments.com work on commission? A. We do not receive a commission from any of our advertisers. Q. Why is it a requirement for all who use your site to have a membership account? A. This is a fraud prevention and security issue. There is no charge for registering on our web site. We delete the accounts of anyone who provides false information or an invalid email address. We also permanently block access to anyone suspected of fraudulent activity or who otherwise breaks our terms of business. Q. Why don’t you have a Money Wanted section any more? A. Unfortunately, just about every ad received spam replies stating the borrower has been pre-approved for a loan or some other nonsense. There is just no way that this section can remain and not be abused. Q. Do you buy mortgages? A. No. This would be unfair to our clients. If you do a search on the terms “sell mortgage” you will find thousands of companies asking you to post your mortgage for sale with them. However this is only so they can buy it from you, usually as a broker, and with the intention of paying you as little as possible for it. We are a Multiple Listing System for seller held notes. By allowing dozens of buyers to bid on your mortgage, you can be sure of getting a fair price. Q. How do I remove myself as a User? A. You really don’t need to. Just delete your Ad and Auto Notify and you will eventually drop off the database. You can also click My Profile and change your info there. Q. Do you verify the information and identity of the individuals and lenders/brokers prior to permitting their listing to be posted? How do I know if a lender is authentic or a con artist seeking to defraud me? A. It would be impossible for us to carry out extensive checking on all our advertisers. Please carry out your own due diligence. We do however carry out certain checks to prevent con artists posting listings or accessing our site. Please let us know if you are ever conned by someone from our site. They will be investigated and blocked from further access. We recommend you check if the lender/ broker is licensed if applicable. You would be able to check this with the State Department of Banking and Finance. (It may have a different name in your state). We recommend you do not pay upfront fees. However it is customary to pay an appraiser for an appraisal and a surveyor for a survey before the loan closes. It is also reasonable to ask for payment to run a credit report, typically $25 to 50. Be very careful of anyone who promises you that you are guaranteed to qualify. A. If you register for our Auto-Notify system, if an ad is placed that meets your criteria, you get a direct link to their listing. You don’t need to spend time reviewing each listing every day! Q. I would like to know how the Auto Notify program selects my e-mail address when a Listing is placed in the money wanted section… do ALL advertisers in the MONEY AVAILABLE section get notified for the same Listing that is placed in the MONEY WANTED section? A. The only way to be automatically notified of Listings placed in any section is to set up an Auto Notify in that section. Q. I signed up with your Auto-Notify service but all the listings I get sent are not those that I wanted. A. You signed up in the wrong section. Very frequently, a Note Buyer, will place a listing for his business in the Mortgage and Note Buyers section and will then create an Auto-Notify in the same section. All you need to do if you think this is happening is look at the Auto-Notify emails you are getting. They will say the section you are registered in and also your Auto-Notify Agent number. Just click the link marked Auto Notify. First choose the section where the WRONG Auto Notify was created. Click on the option Delete Agent. You will now have to log into our system using the User name and Password you chose when you opened your account. Now enter the ID number (see above) of your Auto Notify Agent and click Delete Agent. You will then have to confirm the deletion. Now click on Auto Notify again (in the top bar), go to the CORRECT section, where you want the Auto Notify. Click now on Create Agent. Then create another one in the section you really wanted. A. Click on the word Auto Notify. Select the section where you placed your Auto Notify. Click on Delete. Enter your Auto Notify number, which is contained at the bottom of every Auto Notify email you receive. You will be asked to confirm your choice. Q. Auto-Notify. You stopped sending me Auto-Notifies. Why? A. First it could have expired. You will need to create a new one if you cannot find it when you try to edit it. Second we may have deleted it if your Auto-Notify mail has been returned to us. The way to avoid this in future is to check your mail every day. After all, you did WANT to be notified of new Listings, didn’t you? For now you will need to create a new Auto-Notify profile. Your original profile will have your preferences. Third, we delete Auto-Notifies created by people who apparently intend to violate our terms and conditions. Our Auto-Notify service is intended for legitimate users only. Not so a so-called competitor trying to steal our advertisers. This will also result in your being sued. Forth. It could be your ISP (AOL, Hotmail, Yahoo, Verizon etc.) is dumping your Auto-Notifies from us in your spam folder, or perhaps deleting them altogether. To avoid this, you will need to “white list” the domain mortgage-investments.com. Your ISP will be able to tell you how to do this. Q. Auto Notify sent me an Ad but it was gone when I clicked on it. A. Three likely reasons: The advertiser changed their mind after placing their ad. They got a good response and deleted it. We deleted the ad for violating our terms and conditions. Q. I subscribe to your Auto-Notify service. Why do I sometimes receive listings that are totally off topic? A. As soon as someone places a listing in the section where you have an AutoNotify, it is sent out automatically. We rely on people being responsible when they place listings. Unfortunately, sometimes mistakes are made and listings placed in the wrong section. We verify EVERY listing that is placed, and immediately remove off-topic listings. But by then the AutoNotify has been sent out. We COULD, instead, approve every listing before AutoNotifies are sent, but this would delay them by up to a day. Q. Why are you now charging for some listings? A. Many of the major search engines are now charging up to $5 per click when visitors go to web sites. We just cannot continue to provide a 100% free service. Q. I am confused about the rate. Is this intro submission free for 365 days or for 6 months. A. All listings are currently free (except for a small fee in the Note and Mortgage Buyers section) but you have the option to have priority placement for a small extra fee from as little as 30 cents a day. We can delete your free listings after the free period is over. But at present we are allowing all users to renew them free of charge. Q. Explain the Priority Listing placement options. A. All free Listings appear in date order. Priority placement keeps your Listing to the top of the list. All priority placements appear first, in date order. Q. I paid for a premium service, but my validation code doesn’t work. What do I do? A. If the problem is to do with validating a payment you have made, but can’t post your listing read this section on what to do. Q. How much does your search engine charge per click? We dont charge per click. There is either none or a very small charge to place your listing on our service. To improve your ranking and number of click-throughs you may pay for a priority placement. This runs from $15 to $50 per YEAR. Q.I submitted a listing on Buy Mortgages, BUT I don’t see my listing. I have the receipt for $14.99 and a receipt for $9.99 for auto-notify. How do I check my listing? A. You probably closed the create window while making your payment and thus your order was never completed. When you COMPLETE a listing or Auto Notify creation we automatically send you an email confirmation. If you did not get it, and it is not in your spam folder this is almost certainly what happened. We will however have note of your payment and the system will allow you to create your listing or Auto Notify AGAIN, this time DO NOT click the payment button. A. You may upload images and a PDF. Q. How do I download the documents that your advertisers have on the Internet? A. You can only download documents if they have been uploaded and not all adverts have documents. Q. Documents on line. In the amenities section of one ad, document on line is checked, click at top left. What is it that I am supposed to click on, and can I see this documents? A. If the documents are online you should see the letters DOCS in black on an orange box to the top left. Click on the box. Q. I cannot find my own ad and want to modify or delete it. A. Several ways. First way. When you first placed the ad you were sent a confirmation email with a direct link to the ad. Just click on it and you will go straight to the ad after logging in. Second way. You can do a search either in the section you placed the ad or in the entire database using anything you remember from the ad. This would include your email address, your city, state. This will bring up a list of ads, from which you can easily find your own. Just click on the word ,details, to the right of the ad. Third way. Go to the section where you placed the ad and go to the sub-section. e.g. lenders, mortgage brokers, houses, condos etc. Then scroll down this list, which will be in date order, unless the ad is a priority placement. Keep going till you recognize your ad. Q. I’m trying to follow your instructions on placing a listing and have not figured out how. When I enter the Mortgages and Note Buyers section, I find no link to post a listing. A. Click the link that says “Place Listings” at the top or bottom. You then click to select in which section you want to place the listing. A. First find your Listing in the section where you placed it. Then click on Details to the right hand side of the list of Listings to go to your Listing. On the left hand side of your Listing click Delete Listing. Q. I have clicked on “Place a Listing”, but I don’t see how to actually write the Listing. Where do I go to actually write the Listing? A. When you click on “Place a listing” a new screen will open up. Choose the section you want to place a listing in, Money Available etc. and click on it. Now scroll down the screen, AFTER reading the instructions, and fill in your Listing. When satisified, click “Preview My Listing”. When satisfied, click “Post Listing”. if you are upgrading the listing to priority placement, only select it AFTER Posting your listing. Q. I have have tried to place a Listing several times with no success… what am I doing wrong? A. Make sure you have entered in all the required fields. These have a red * next to them. If you want your listing to receive Premium placement (or it is a paid listing) make sure you leave the window open while paying for your Premium placement. Q. How do I know when I get a response? A. All responses to your listing will go to your personal inbox for your privacy. Q. How can I get the “details” on the Listings I have on my checklist? A. To place an Listing on your checklist, check the little box. A window will open confirming it has been added. To review this list, click on My Checklist. To see the details on any of the Listings, just click the word Details to the right side of the list, just next to the little box. Or, if you prefer, go to the bottom of your checklist and click the words “View detailed Listings”. You add or remove Listings from your list by checking the little box. On the detailed Listing it will be on the left. A. Look in our Money Available to Lend section of our database. Some lenders cover the entire country, other only cover certain regions. So you should check both your region and the non region-specific listings. Q. How do I sell a second mortgage that I hold? A. Place a listing for it in our Mortgage for Sale Section. Q. Do you have a list of lenders. A. YES! Click on the link at the top of our home page to go to our lender, mortgage broker, note buyer, borrower and mortgage seller database. Q. Are the notes that are listed being sold by the owners or brokers? A. They could be either. Usually it will be obvious from the listing. Q. Do any of your lenders deal with Canadians? A. Yes. They may be found in the Outside USA section. Q. Where and how do I place a Listing for a real estate for sale? A. We do not offer a Real Estate for Sale section. Q. I have a business that attracts investors to lend money to real estate investors looking to finish projects, which section should I place an ad in? A. Unfortunately the Money Wanted section attracted too many bogus responses so we have discontinued it. On the other hand, if you HAVE funds and wish to find real estate investors to BORROW it, your listing would go in Money Available. Q. I am seeking to purchase first and some second owner financed real estate notes. Could you please guide me as to where I can find paper for sale. A. Place an ad in our Mortgage and Note Buyers section. 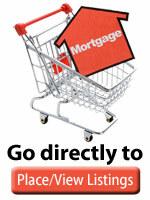 Look though our Mortgages for Sale section, reply to any suitable ad, and set up an Auto-Notify in that section. Q. Can a Homeowner with any balance outstanding on his/her original mortgage loan legally offer seller financing to potential buyers provided permission is obtained from the Lender? A. Yes. The Lender would also need to agree to the new borrower assuming the loan. They probably will not agree to this.